We have hundreds of pictures stored on our desktop computer. During every PCS move or deployment, I’m scared that the movers will damage the computer or lose it. No amount of money would replace those pictures. I recently discovered online backup and now have some peace of mind that my files are safe. Online backup supplements my current backup plan, which involves hand-carrying the hard drives to my next base. Online backup works by uploading your files to a remote server. Software on your computer runs in the background and monitors for new files or changes. You can download your backed up files any time. Tip: It will take 10-30 days to complete your initial backup. If you’re moving or deploying soon, plan to start your backup ahead of time. I researched and tried three different backup solutions: Carbonite, Crashplan, and Backblaze, before deciding to commit to a single service. All three support PC and Mac computers. Carbonite has been around a long time and is considered very reliable. However, their service is expensive when compared to Crashplan and Backblaze. 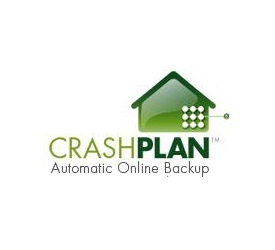 I found Crashplan to be the most flexible option. This is the program that I ended up paying for and am very happy with it. Some users say it slows down your computer. I haven’t noticed this personally. I liked Backblaze a lot and would have chose them over Crashplan and Carbonite if it weren’t for one small issue. We have an iMac with an external hard drive connected. That hard drive is also configured as a “time machine” backup for the iMac. Backblaze does not back up any files on an external hard drive that is configured for time machine. I did not want to redo this drive and split off the time machine backup. So I went with Crashplan instead since they support time machine drives. My top recommendation for online backup is Backblaze, followed very closely by Crashplan, then Carbonite. I went with Crashplan due to the minor issue discussed. But if you do not have the same issue I would recommend Backblaze over the other options.